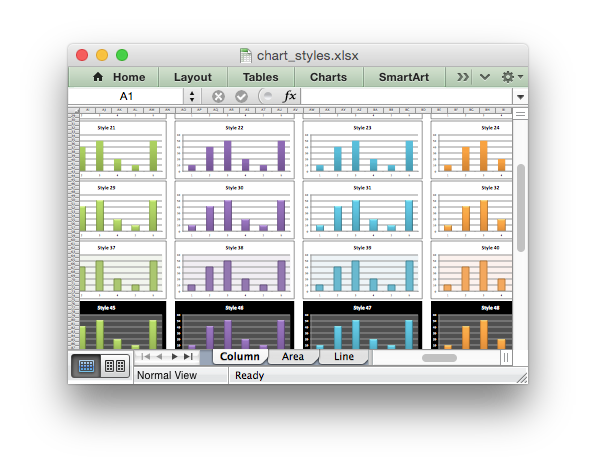 An example showing all 48 default chart styles available in Excel 2007 using the chart set_style() method. Note, these styles are not the same as the styles available in Excel 2013. # the styles available in Excel 2013. # Show the styles for all of these chart types. # Add a worksheet for each chart type. # Create 48 charts, each with a different style. # Create a worksheet with data for the charts.